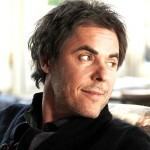 Tim Freedman is the lead singer and songwriter of ARIA Award winning band The Whitlams. Tim has released seven albums over the last 19 years, telling a very Australian story in a distinctive melodic vernacular. His songs are urban, sardonic, cynical and sweet. He is equally at home in front of a symphony orchestra, a four piece rock band, or at the piano in a jazz venue.